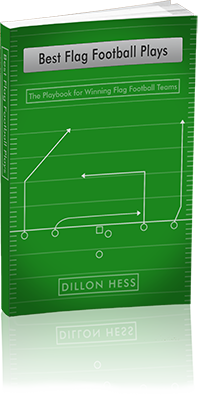 In the same way that this book is not limited to certain types of football, it is also true that this book is not limited to a certain number of players on the field. Traditional Flag Football is played in a 7-on-7 fashion with seven players on each side of the ball. Regardless of the number of players, however, each of these plays and route concepts can be executed no matter how many players are on each side of the ball. It can be 4-on-4, 5-on-5, 6-on-6, or 11-on-11. These plays and strategies don’t break down depending on a certain number of players on the field. 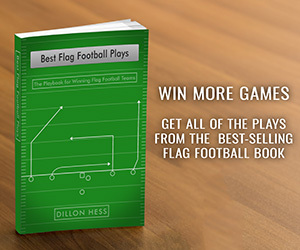 The assumption of this book is that you will be playing 7-on-7, however, you will be able to make the proper adjustments of altering the number of Lineman or Wide Receivers in accordance with the rules and regulations of your league.